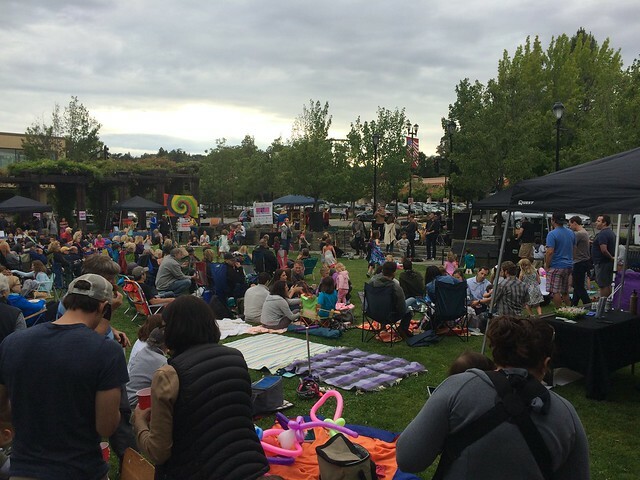 Lafayette’s Rock the Plaza summer concert series, now in its 13th season, takes place Friday nights in June at Lafayette’s Plaza Park at the corner of Mt. Diablo Boulevard and Moraga Road. Join us for The Big Jangle on Friday, June 15, 6:30pm-8:30pm. The Big Jangle Band is a San Francisco Bay Area Band dedicated to playing all things Tom Petty. They capture the Tom Petty and The Heartbreakers concert experience, so not only playing the music of Tom Petty, but the songs he covers live, such as The Traveling Wilburys, The Byrds and Stevie Nicks. Comprised of seasoned musicians located in the East Bay, you will be guaranteed a great musical and dancing experience! The Lafayette Summer Concert Series "Rock the Plaza" is held every Friday night in June. For more information, click here.